What a hoot! 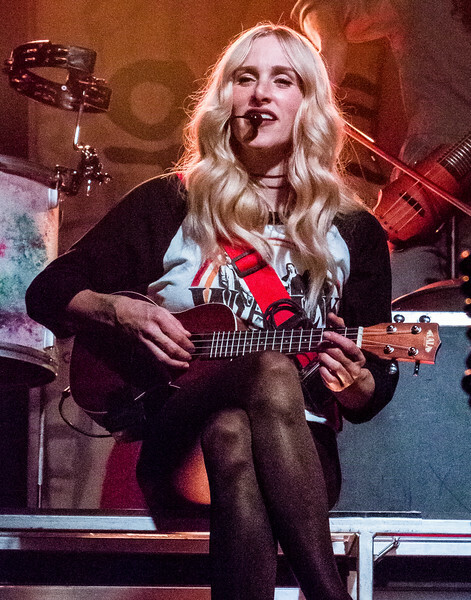 Renae and I had the pleasure of photographing Walk Off The Earth (WOTE) when they played the Van Buren on March 11, 2018. The Van Buren just opened last fall and may just be one of the coolest music venues in Phoenix! WOTE played to darn near a capacity crowd of 1800 very enthusiastic fans and they put on a heck of a show! They play an eclectic mix of covers mixed in with fantastic original material. They exploded on the music seen a few tears ago with an amazing 5-people-playing-one-guitar interpretation of Gotye’s “Somebody That I Used To Know”. It garnered 35 million views in under 2 weeks! Google it if you have not seen it! They have a boat-load of videos and it would behoove you to check them out – you will not be disappointed! Renae and I want to give special thanks to Sarah, Gianni, Ryan, Joel and Beard Guy for giving us permission to photograph the show! Enjoy!